Samantha El Hassani, an American mother who traveled with her husband and children to the Islamic State's base in Syria, was charged with lying to the FBI two weeks ago, the Department of Justice announced last month. She'll be facing trial in Indiana "at a later date." The big picture: El Hassani and her children are just one of thousands of cases of women and minors returning to their home countries after living under ISIS' rule — and the world still isn't quite sure what to do with them. According to a new report from the International Centre for the Study of Radicalisation (ICSR) at King's College in London, 25% of international citizens affiliated with ISIS in Iraq and Syria were women and minors. 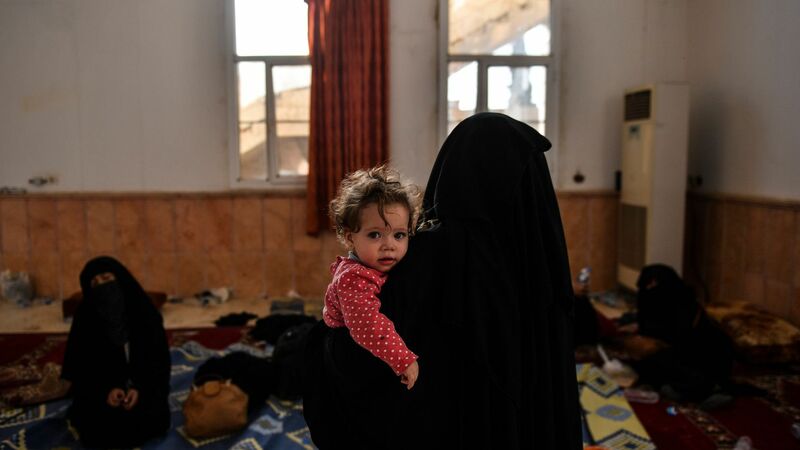 At least 730 children have been born inside the Islamic State to foreign parents. Only 4% of recorded returnees are women, and 17% of returnees are minors. These are likely underestimates. Gina Vale, co-author of the report and research fellow at the International Centre for the Study of Radicalisation, told Axios that, because of "huge data gaps," her team has concluded that "the figures that we have are vast underestimations of potential figures." The difficulties women and minors face in leaving the Islamic State contribute to the data shortages, Vale explained. There isn't much of an established process in place for what to do with the returnees. Around the world, these women and minors are facing "varying levels of accountability," Vale said — and this problem is something that "has lacked consideration until now." There's "a risk that many IS orphans will become stateless and fall through the cracks of repatriation and rehabilitation efforts," per ICSR. Vale told Axios it's important to assess the role women and children play in ISIS. Children as young as 5 are used in propaganda videos "as spies, executioners, combatants," and the West must acknowledge that kids may have "participated in violence." While there is a security risk for some individuals who return, it needs to be examined as "an individualized issue...we cannot sensationalize this, and we can't use broad-brush generalizations," Vale said. Countries are all approaching this differently, Vale explained. Some are stripping dual-citizen adults of citizenship. Australia is taking citizenship from minors as young as 14 years old. And some countries have a blanket policy of prosecuting all adults who return, while others are more lenient with returning women than they are men. "This has great implications for threat assessment from both those traveling to foreign conflict zones and then obviously the potential threat of returnees, military targeting in-theater, legal frameworks upon return and prosecution thresholds, as well as partnerships with regional and international organizations."